in his fifth birthday naruto stumbled upon a aburame failed experiment, chimera ants. With the help of his new clan he is able to matter his new powers. I do not own naruto. In the council room say a single table, with light emanating from a seal in the ceiling. The table was give people wide. At the center was the Hokage, to his left homaru and his right koharu. Beside homaru is danzo and beside koharu is Jiriya. Behind them stood a ANBU with black hair and a weasel mask. On the left side of the table is tsunade, hiashi, tsume, inochi, shikaku. On the right side of the table is Orochimaru, fugaku, shibi, Choza. In front of this group stood nine jonin. They had arrived after each of there gennin tests. "Those of you whose gennin failed please leave us," Hiruzen said. Those who had failed there students left only leaving three. "Kakashi tell us about your team,"
"My team has Saskue Uchiha, Sakura Haruno, and Ino Yamanaka. Sakura and Ino found Saskue and were able to take the bells from me," kakashi said not looking up from his book. "My team has Kiba Inuzuka, Hinata Hyuga, and Choji Akimichi, Kiba and Hinata were able to track me down but when engaged in combat they lacked but Choji made up for that. He used Earth Release: Tearing Earth Turning Palm no jutsu, and a combination of Earth Release: Hiding Like A Mole no jutsu and a jutsu I have never seen before called Forbidden Ninjutsu: Muscle Expansion no jutsu, which he used to hold me in place with a grip stronger than Gai&apos;s." She said and everyone looked at Choza for answers. "I know he could use Forbidden Ninjutsu: Muscle Expansion no jutsu. It&apos;s rare for someone of our clan to use because of chakra use, one needs Chunin level chakra reserves to double there strength to achieve that level is unheard of and for the earth jutsu I didn&apos;t have a hand in that," Choza said. "I think i know why," shibi said. "Why? My son naruto got a hold of a chakra battery seal." "That&apos;s a high ranking seal that not even the Hyuga seal master can use," Hiashi said. "I would be able to explain that one," Jiriya said. "I have talked and exchanged seals with naruto he is easily a seal collector but I have not had the time to test him to see if he can acquire the rank,"
"This is very curious asuma what happened with your team?" Hiruzen asked. "Well I expected them to use the shadow possession to catch me, but what happened is shino and shikamaru attacked using Earth Release: Tentacles to distract me while shikamaru used Fire Release: Fire River to force me into the forest. 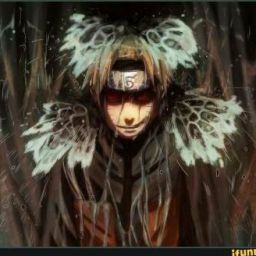 When I got there I was caught by naruto Hidden Jutsu: 1000 Strings. And than covered by shino&apos;s Hidden Jutsu: Insect Sphere. I awoke hanging upside down from a tree in the middle if the forest of death." Asuma said slightly ashamed. "That brings up the fact these four students are way above there level," Danzo said. "Bring me my orb," Hiruzen said. A moment later a ANBU arrived with a glass ball and set it in the table. 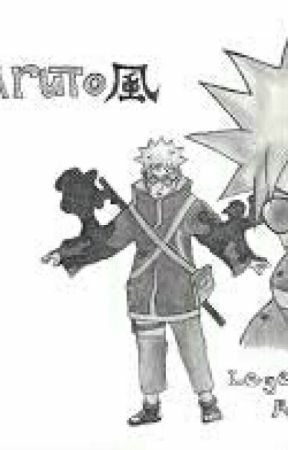 Hiruzen ran the several hand signs and the four gennin appeared shino and shikamaru were playing shogi. They saw naruto with his hands on Choji&apos;s back and a seal on his back light up purple. Than they saw naruto&apos;s chakra pour into the seal. After a few minutes it stopped.